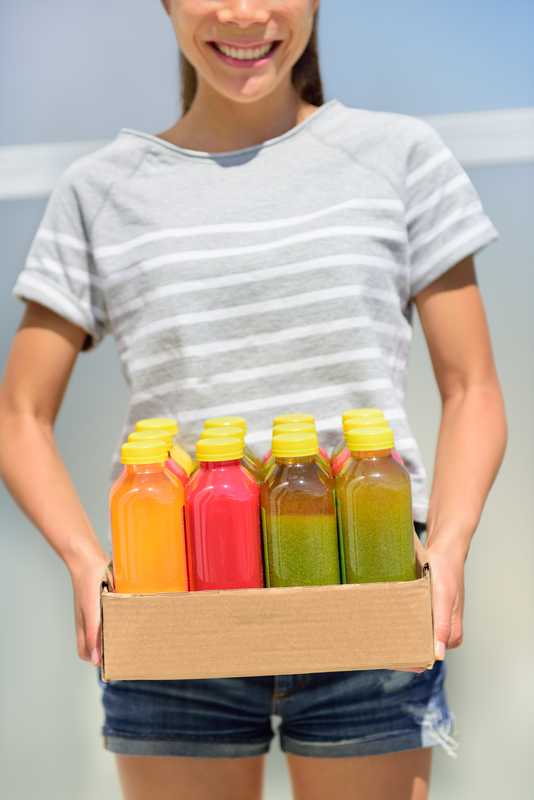 Think a cleanse will help you lose weight? Many experts, including those at the Mayo Clinic, say there’s no proof weight loss cleanse programs work. So before you embark on a “detox” diet, consider why a weight loss cleanse won’t help you reach your goal. Most weight loss cleanses involve fasting followed by a strict diet. Your food choices are often limited to raw vegetables, fruit, and water plus specific herbs, spices, or supplements. The idea is that carbohydrates in fruits and vegetables are enough to fuel your body while their fiber cleans out your intestines. It’s true that your body can get fuel from vegetables and fruit. And the fiber will help move food through your digestive tract. But your body also needs healthy fats, proteins, and a wider range of carbohydrates for proper function. If you don’t get these nutrients from food, your body will break down muscle tissue for protein. It will also use fat from reserve for any energy deficits. But your body needs fat for more than energy. Healthy fats help transport and absorb nutrients. They improve neurological functions and keep hormones related to hunger in balance. Fat stored in the body can only be used for energy, not these other functions. Without dietary fat, the nervous system can falter, hunger increases, and there’s a risk of malnutrition. Dietary fat and protein — along with carbohydrates — are also essential to mood stabilization. Many people read about celebrities doing cleanses. Almost without fail, there’s a picture of the celebrity looking the way you want to look. So, you follow their weight loss cleanse. There are two problems with that. First, the celebrity is not a healthcare professional. They’re a person like you and may not have all the right information about nutrition and body function. Second, the celebrity in question is usually already at or near their ideal weight. Cleansing for 3-4 days is unlikely to do any significant harm yet they’ll get the results they want. If you are overweight or obese, you have different considerations and requirements. Unpasteurized bottled fruit and vegetable juices may have bacteria that can make people ill. People with compromised immune systems must be extra careful. The U.S. Food and Drug Administration (FDA) doesn’t approve all cleanse products and programs. Illegal or potentially harmful ingredients and false health claims are two reasons for not getting FDA approval. Drinking a lot of fruit and vegetable juice can put a strain on the kidneys. People with existing kidney issues must remain extra cautious. As mentioned above in the section about celebrities, doing a 2-3 day cleanse once or twice a year isn’t going to hurt you. But a weight loss cleanse usually lasts 7-30 days. During this time, you’re not giving your body the nutrition and energy it needs. You’re also setting yourself up for yo-yo weight gain. If you do manage to stay on a cleanse for 7-30 days, you are likely to see the number on the scale decrease. Your body is consuming itself to survive. That’s why when you get back to your usual diet, odds are that you’re going to regain the weight — and more. If weight loss cleanses aren’t the answer, then what is? Of course, the solution includes eating nutritionally balanced meals of reasonable size and being active. But that might not be enough. If you have a body mass index (BMI) of 35 or higher, mini gastric bypass surgery could be the right option. Call today to discuss your potential candidacy for this long-term weight loss solution. There is a way to stay safe and healthy while you achieve your weight loss goal!